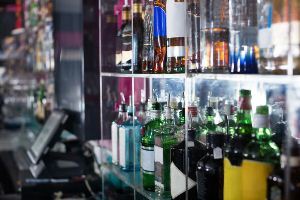 Thin Film Electronics ASA , a provider in NFC (near field communication) mobile marketing solutions, published a case study in conjunction with its customer, Kilchoman Distillery Co. (“Kilchoman”). Kilchoman, an award-winning producer of single-malt Scotch whisky, was announced as a Thinfilm customer in November 2017 and deployed Thinfilm’s NFC mobile marketing solution soon thereafter. 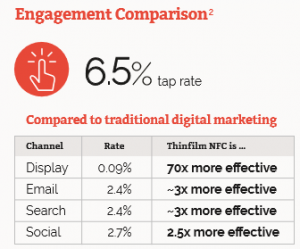 A post-campaign analysis revealed that NFC generated a 6.5% engagement rate among consumers, outperforming more traditional digital marketing channels such as display, email, search, and social. For the initial campaign, Kilchoman replaced conventional neck-tag booklets with Thinfilm’s NFC-powered interactive neck-tags on bottles of its Machir Bay and Sanaig whiskies. The tags, each of which contained a uniquely identifiable NFC chip and fully integrated with Thinfilm’s CNECT Cloud Platform, created a digital touchpoint that transformed each bottle into an individual marketing channel. By tapping the “smart” neck-tags with an NFC-enabled smartphone, consumers were able to instantly launch unique digital experiences that communicated product details, taste profiles, brand messaging, and distillery information – such as Kilchoman’s unique “barley-to-bottle” approach to creating award-winning Scotch whisky. “We saw Thinfilm’s NFC mobile marketing solution as an ideal way to connect with consumers, tell our brand story, and deliver mobile experiences that are engaging, informative, and relevant,” said Anthony Wills, founder and managing director of Kilchoman Distillery. Based on the success of the original campaign, Kilchoman will integrate Thinfilm’s NFC technology directly into the whisky bottle labels, eliminating the neck-tags. The company has placed a follow-on NFC tag order with Thinfilm for use in primary packaging integration and will establish NFC as an ongoing consumer engagement channel. Additionally, Kilchoman is developing new digital content and implementing lead-capture functionality to deepen its relationships with brand enthusiasts.